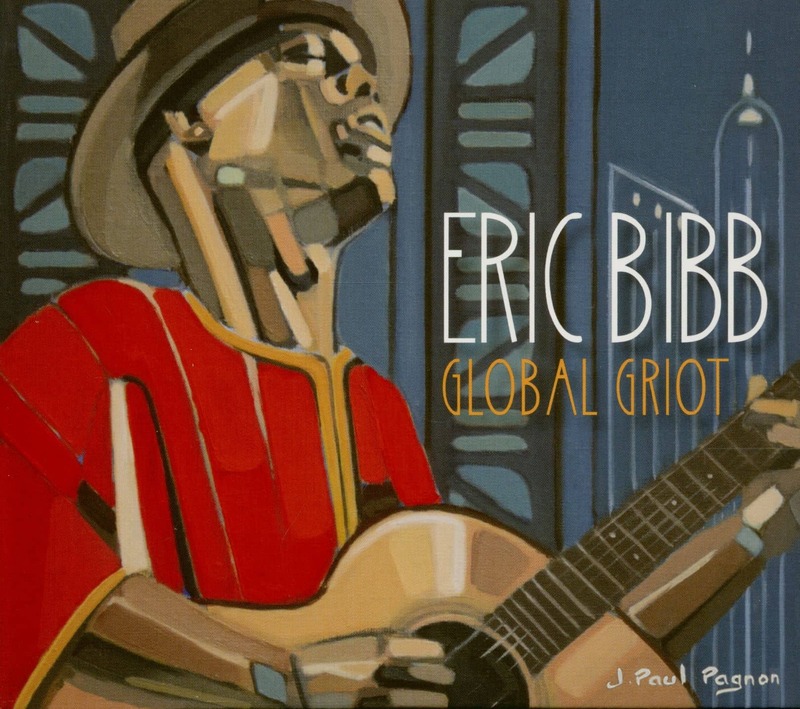 The extraordinary blues musician ERIC BIBB combines different cultures and musical influences on his new album Global Griot. The record, produced together with a multitude of first-class artists, will be released again at the end of October on the established blues label Dixiefrog Records. 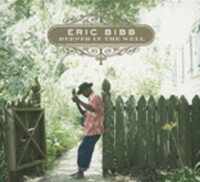 Eric Bibb seems to have found the perfect mix of blues and world music by combining his grooving modern blues with his African roots as well as reggae and gospel. Some 15 high-profile musicians - Americans, Europeans, Jamaicans and two African stars, Malian Habib Koité and Senegalese solo Cissokho - were involved in Global Griot, an extraordinary (listening) experience and a milestone in Eric Bibb's remarkable career. 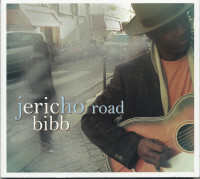 Eric Bibb's career now spans five decades and, always on the move, he has never rested on his laurels. He has collected a backpack full of stories from all over the world. And so Eric couldn't have chosen the title of his new album "Global Griot" more appropriately. In fact it was recorded all over the globe, in France, Sweden, Jamaica, Ghana, Canada, UK and the USA. 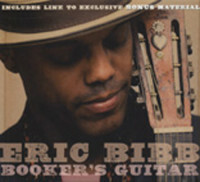 Eric still remains a "blues brother" in the first place - but a blues man of the old school who always finds ways to broaden his horizon. On his journey he has always been successful in meeting incredibly talented musicians, whom he regards as relatives in spirit. He is reunited with some of them on this album such as Sweden's star guitarist Staffan Astner, reggae legend Ken Boothe from Jamaica, Big Daddy Wilson, Harrison Kennedy, Michael Jerome Browne, Linda Tillery (Cultural Heritage Choir) and two exceptional West African musicians - Malian guitarist and singer Habib Koité (Brothers In Bamako) and Senegalese solo Cissokho, whose omnipresent cobra playing is one of the beauties of this double album. 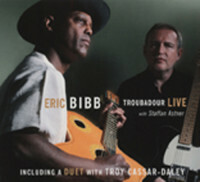 And not to forget Eric's wife Ulrika Bibb, who contributes her heavenly harmonies to this project. "Global Griot" is his biggest joint project to date, which he shares with a variety of musicians (along with four traditional melodies and two cover songs). 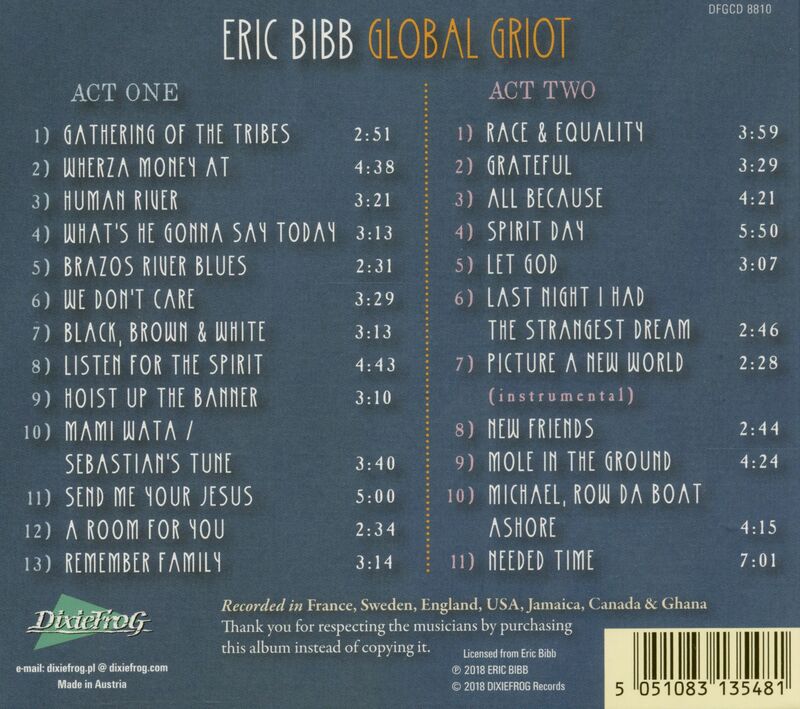 Customer evaluation for "Global Griot (2-CD)"